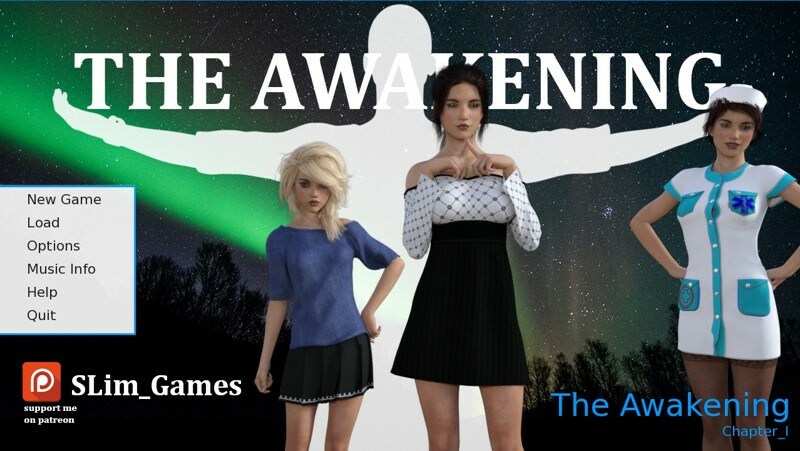 Download The Awakening - Chapter 1 Complete from AduGames.com for FREE! After two years you finally wake up from a coma which was caused by a car accident. You are suffering from amnesia and you have not the slightest idea in what kind of situation you are in. CREATE your character and go along the journey to find out who you truely are. Don't forget that your choices will make an impact on the story as new updates come out. I liked what the game has so far...realistic,nice looking characters, the dialogue is good,story looks to have a supernatural twist.It has music and sound effects. The game had a "crash problem"(near end? ), after talking to Mom in the car,(when you say I'm the man of the house now,then hear the car engine start up...the game just hangs at a black screen)causing a crash. This happened (to me) twice, so you may want to wait until next version which hopefully is more stable.